Want to Escape the 9-5, Live Anywhere, and Join the New Rich? The NO BS Book Series: Private Label Mastermind Roadmap to Selling on Amazon is HERE to HELP You Build a Business that Will Allow YOU to Choose Your Lifestyle. This is book one to the five part series written by the Private Label Mastermind, The Mastermind Roadmap to Discovering Lucrative Private Label Products that Sell on Amazon, a clear and concise guide that unveils how you can discover the best products to private label and sell on Amazon to build a successful business. 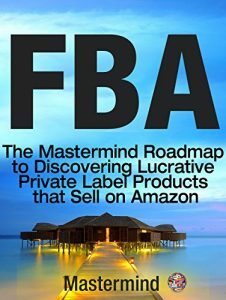 Clear-cut information, step by step instructions, resources, and practical tips and tools to use during your research and beginning stages of this business are outlined in The Mastermind Roadmap to Discovering Lucrative Private Label Products that Sell on Amazon. This roadmap will take you from brainstorming hundreds of product and niche ideas to selecting your own product and niche to sell in, within mere hours!